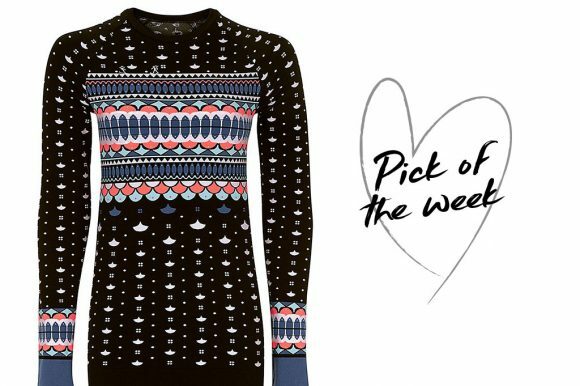 If you’re taking to the slopes this holiday, then your base layers don’t have to be boring, thanks to our fashion editor, Karen Skagerlind’s pick of the week. This statement jacquard top, £60 from Sweaty Betty is a base layer to show off in, with a striking Scandi-inspired pattern and neon highlights to give your ski outfit a lift. The sweat wick fabric and seamless design ensure you stay comfortable both on and off the piste and look good no matter how proficient a skier you are. And if thats not enough, you can get the total look with the Scandi Ski matching seamless leggings and trainer liners, socks worthy of any workout. Buy the Scandi Ski Seamless Long Sleeve Top by Sweaty Betty now.